Machine washing offers the most efficient and intense cleaning. However, it’s also the most aggressive approach. Not all fabrics can tolerate machine washing. ♦ Sort the laundry before you wash and pretreat items. ♦ Place the laundry into the machine. Protect items with embellishment or hardware by washing in a Mesh Washing Bag Bundle. ♦ Set the machine cycle and water temperature and add detergent or soap. ♦ Add additional products, such as Fabric Conditioner, as needed. ♦ Let it run uninterrupted until the end of the washing cycle and remove items promptly. 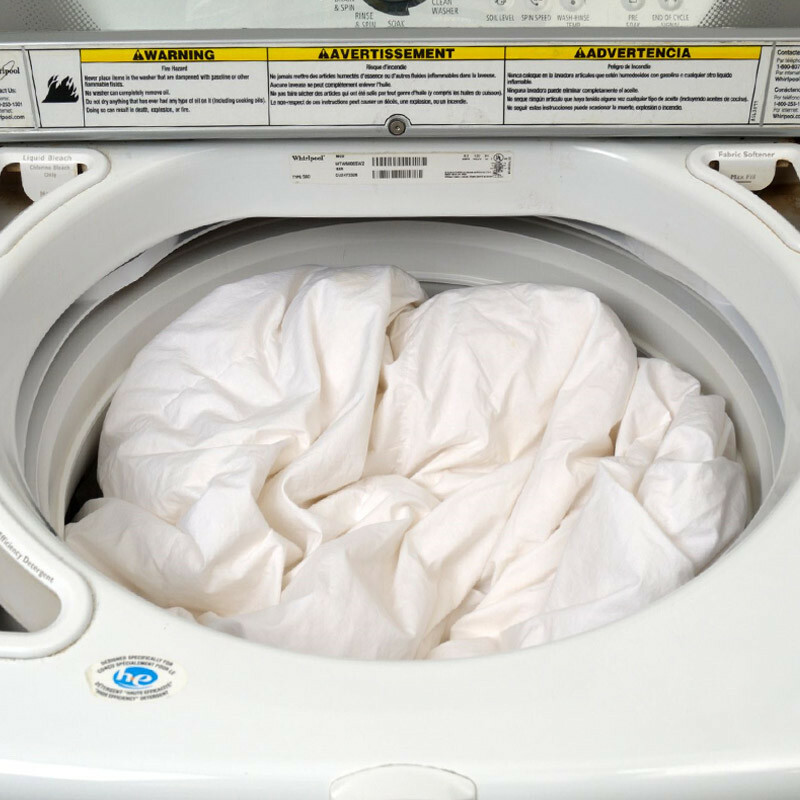 Items left in the machine can become wrinkled or musty. Always maintain a clean washing machine. What kind of detergent or soap should I use? Select the appropriate product based on the contents of the load. What products should I use in addition to soap or detergent? Depending on the contents and specific needs of the load, consider adding Fabric Conditioner or All-Purpose Bleach Alternative. You may also want to use products, such as Scented Vinegar, to remove odors. I left my wet clothes in the machine and now they smell bad. What should I do? If the items don't smell fresh, you can simply rewash them. However, if the items smell musty, you'll need to remove the smell. Putting them in the dryer alone will not rid your clothing of this odor. We highly recommend using a Mesh Washing Bag Bundle for the items below when you're including them in a load of laundry. ♦ Delicates and woolens: Protect small, delicate, and embellished items throughout the wash cycle, such as hosiery, lingerie, wool sweaters, and more. ♦ Snag-prone items: Prevent snag-prone clothing— such as lacey underwear, lingerie, hosiery, scarves, and sweaters—from tearing and snagging in the machine. 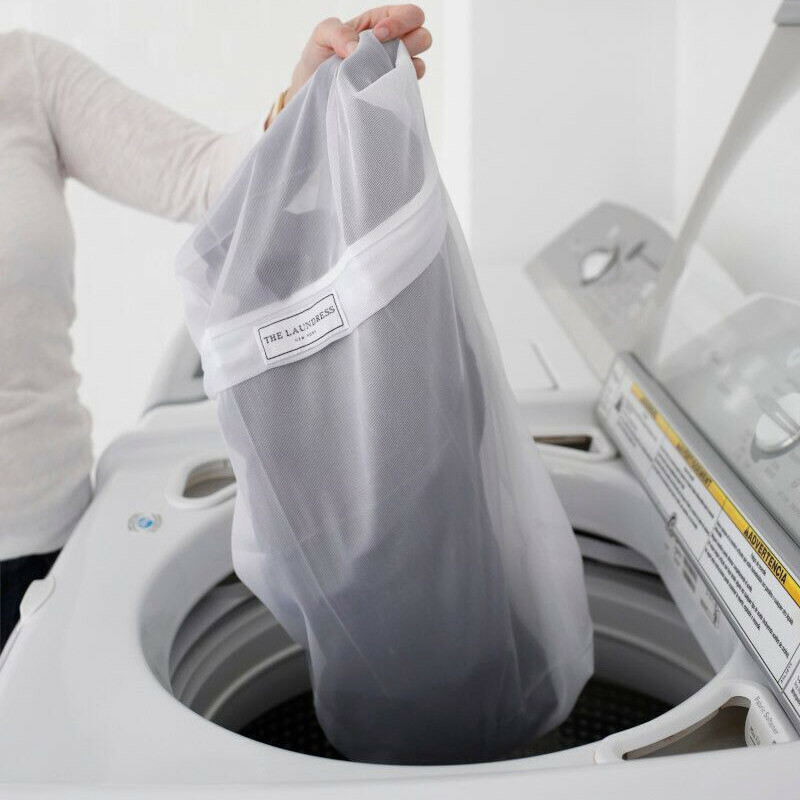 ♦ Items with hardware: If you have an item that has hardware, such as zippers, buttons, or heavy detailing, insert it into a Mesh Washing Bag so it won't damage other items in the load during the wash cycle. Not only will this avoid the hardware from directly hitting the machine drum, thereby eliminating breaking, scratching, and chipping, but it will also prevent that loud banging sound! ♦ Small items: Keep smaller items, such as socks, together throughout the wash cycle. ♦ Denim: Washing jeans in a Mesh Washing Bag exposes them to less agitation, which preserves their color and prevents tears and frays. We always use this laundering accessory when washing distressed denim. ♦ Activewear: Washing workout clothing in a Mesh Washing Bag Bundle exposes them to less agitation, preserving their elasticity and preventing shape distortion. Handwashing is the gentlest and safest washing method. We always handwash bras, bathing suits, and delicate underwear. We prefer to handwash silks, woolens, lace, and embellished items. More durable delicates can be washed on the Delicate cycle in a Mesh Washing Bag Bundle. Err on the side of caution—if the item seems delicate, handwash it.